Last month a usability study was carried out on the UX2 digital library prototype. The study involved 10 student participants who tried to complete a variety of tasks using the prototype. The report is now available to read in full and can be accessed via the library (http://bit.ly/ux2usabilityreport1). The prototype is based on an open source ruby-on rails discovery interface, Blacklight which has been further developed for the project to provide additional features. Existing component services have been ‘mashed-up’ to generate the UX2.0 digital library. The prototype currently indexes the catalogues provided by the National e-Science Centre at The University of Edinburgh (NeSC) and CERN – The European Organisation for Nuclear Research. The report presents the findings of the usability testing (work package 2 – WP2.3) of the prototype which was conducted with representative users at the university. The study reveals a range of issues uncovered by observing participants using the prototype by trying to complete tasks. The findings outlined in the report provide a number of recommendations for changes to the prototype in order to improve the user’s experience. In order to identify and fully explain the technology responsible for each issue in the report, supplementary blogs will be published on the project website in stages, as and when developmental changes are made (follow the ux2 Twitter account for announcements). It is hoped that this supplemental development documentation will make it more accessible to other digital library developers and the wider JISC community. Some of the main findings from the report are summarised below. Allowing users to narrow results using the faceted navigation links was useful. Providing users with details of the item content including full text preview, video and presentation slides was informative. Allowing users to bookmark items and add notes was considered a useful feature. Overall the layout and design was clean, simple and useful. It was not obvious when the system saved previously selected facets in the Scope, often misleading participant’s expectations. The external ‘Other’ links were not relevant to participants and often mistrusted or considered a distraction. The format of text within the item details page made it difficult to read and consequently participants often ignored it. Recruiting participants via telephone does not necessarily guarantee attendance. Two participants did not show up to their slot after arranging the appointment with them by phone and sending them an email confirmation. However, this could also have been affected by the time of year. It transpired that many students had coursework deadlines the same week and the offending students did say they forgot because they had a heavy workload. User generated tasks are not easy to replicate using prototypes. This was not unexpected but something which was tried anyway. As suspected, it was difficult to create a task which could generate results when using such a specialised and relatively small database. However, when it was successful it did return some useful findings. It’s difficult to facilitate usability tests and log details using Morae. Any usability practitioner will tell you that it’s important concentrate on observing the participant and interacting with them and to avoid breaking the flow by stopping to take detailed notes. I found it impossible to observe a participant, engage with what they were doing and log behaviour on Morae so would recommend you recruit a note-taker if this is important for your usability study. 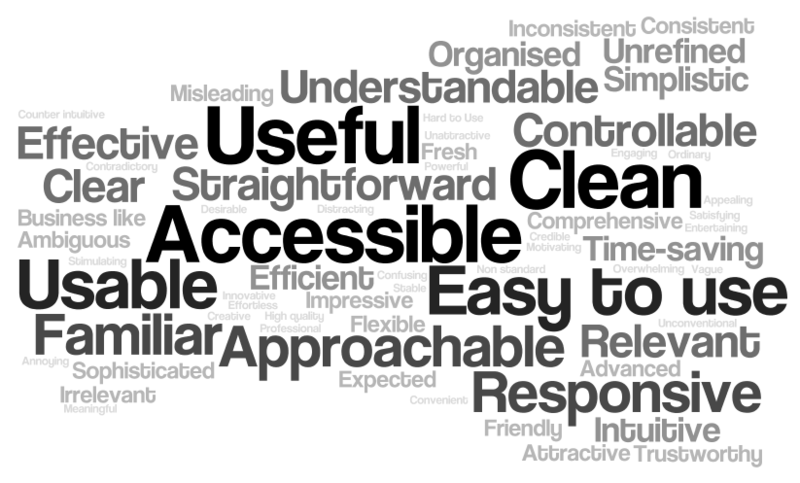 1 Response to "UX2.0 Usability Test Report"